Since 9/11, the rush to learn about Islam has been a common goal for a broad spectrum of Americans - from politicians, to clergy, to soccer moms. Indeed, a lack of knowledge of this religion has publishers scrambling for titles. 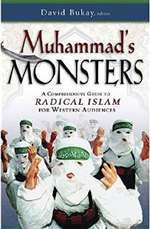 Muhammad's Monsters represents that rare project - scholarly in tone, yet highly readable - that sets it apart. Essays from leading experts, including David Bukay and Louis Rene Beres, outline the broad dimensions of Islam, while filling in important details. Careful to distinguish between moderate Muslims and radicals who have adopted monstrous methods of dealing with the West, this is a work of utmost importance.